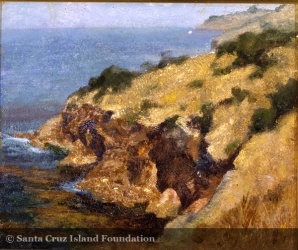 PARSHALL, DeWitt (1864-1956), New York born, European educated landscape painter who moved to Santa Barbara in 1917 where he remained until his death. 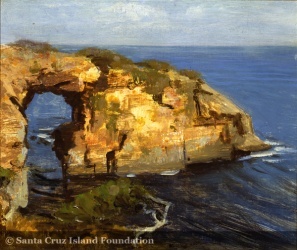 His son Douglas Ewell (1899-1990) followed in his father’s footsteps as a painter, maintaining a studio in Alexander Harmer’s old adobe studio. 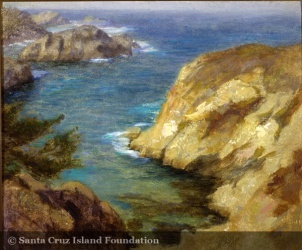 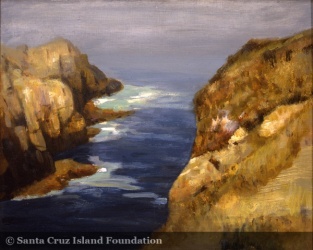 DeWitt Parshall painted a number of works on Santa Cruz Island, some of which are in the collection of the Santa Cruz Island Foundation. 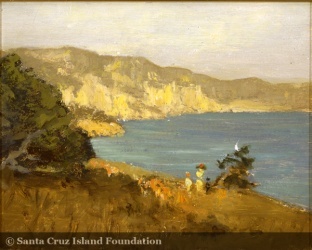 The June 1927 Santa Barbara Museum of Natural History Leaflet reported the gift of a painting of Pelican Bay by DeWitt Parshall.